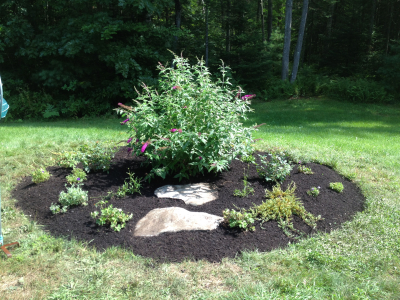 A Border Garden: New design and installation. 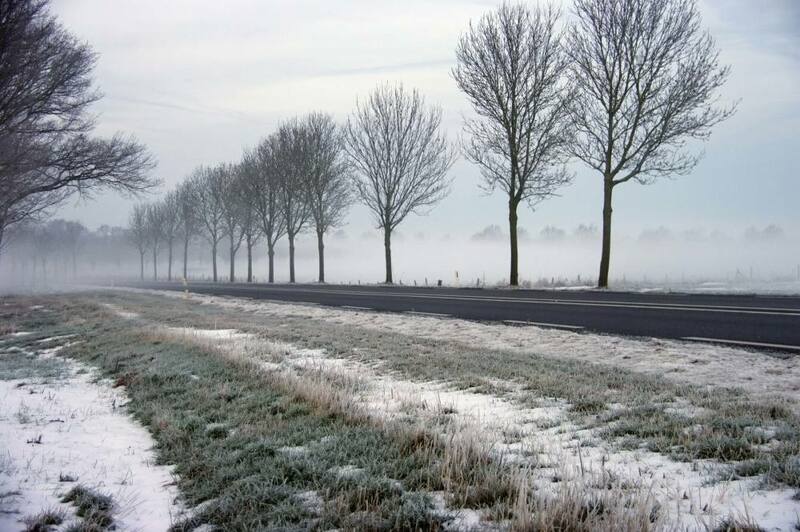 Plants will fill in overtime creating layers of different heights, colors, and textures. 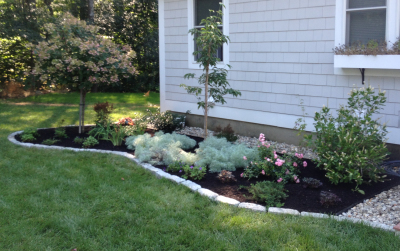 A Border Garden: Detail of mixed shade and sun section. Brighten up wide open areas with an island bed! New design and installation. 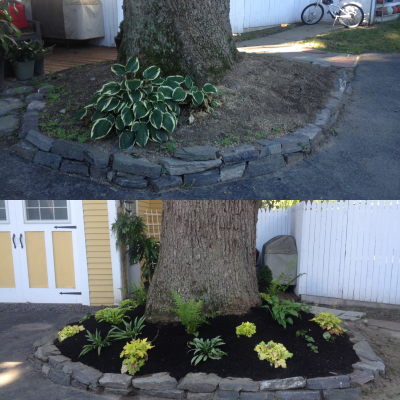 Before and After: A dry shade garden spices up the base of this giant oak tree. 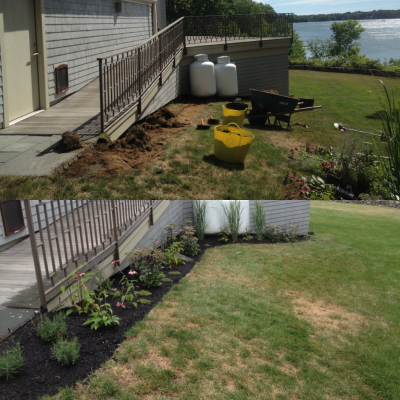 Before and After: Over time, this native border bed will completely screen the tanks. 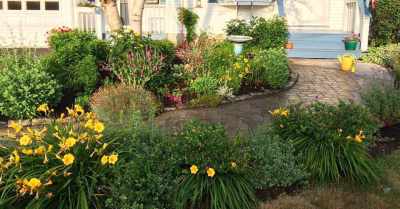 Maintenance: Weeding, mulch, and dividing overgrown plants can work wonders in any garden. 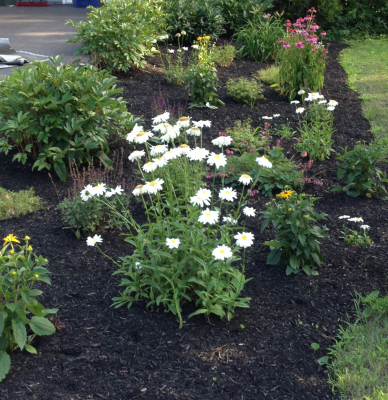 Maintenance: Transplanting self-seeding perennials to spread color through the garden.